That’s it! All of It! The joyous creativity of Spirit, of our soul, responds from within each of us to just where our creativity lies! For Ray Charles it’s from beneath his fingertips! I know in this moment for each one of us that Spirit births from within each one here and now that mental equivalent of our desires, our demands, our dreams. In that inseparable place of the One, our creative arena, the medium within us, from which outpour our creative impulses, that right here, and right now is the perfect place for peace to begin. I see this Peace in every part and parcel, in every fiber of my being, and know the same exists not only within each one of us in this prayer, but in the extension of that One, all of humanity! I know this peace is perfect in every way, because It is the Peace from Love that is beyond all understanding. It is that Peace which extends from the Soul, from the God within each and every one of us and cries out to be heard. This Peace knows no borders, it knows no boundaries, it knows no ethnic, racial, language, or spatial differences as It comes from the Source. It comes from that universal field of potentiality we call Spirit. I rejoice in the potential power of this idea, Peace. I am enheartened by the primal nature of this creation and I know this field of potentiality expands geometrically, taking into itself all the Love, and all the Joy, and all the Happiness that the ever expanding field of infinite possibility could absorb. I smile blissfully with the gratitude of this knowing. 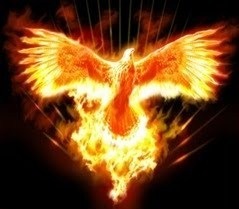 I feel the warmth of this Peace we have brought into this field of potentiality, and I know I need only bask in Its warm glow, for the fire has already begun, and just as the Phoenix rises from the flames to be reborn, Eternal Peace rises from within each of us in this season to be born to and as us. To this I simply say, Thank you Spirit.